30 June 2017 - Maptia/Katie Schuler, Eric Stavale, Joseph App and Jim Lesperance. Oceans and continents converge at this Panama nature reserve. As it opens its doors to both scientists and researchers, one man takes on the task of identifying the incredible invertebrate diversity, undoubtedly discovering many new species in the process. "In the small Southeast Asian nation of Cambodia, a long history of conflict, widespread contamination of the countryside with landmines, and the loss of a generation of scientists under the brutal Khmer Rouge regime of the 1970s has stunted scientific research into the country’s wildlife for half a century. 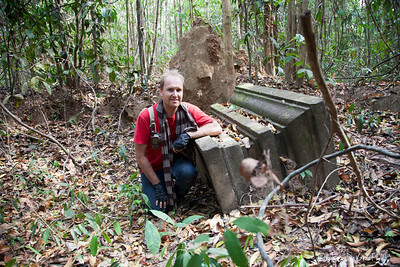 But over the past three years, a social media group set up by a pair of nature enthusiasts wanting to share their encounters with the country’s wilderness has mushroomed into a dynamic online community of “citizen scientists” that has provided experts with insights into the distribution of some of the country’s native species and become a portal through which members of the public have witnessed newly-discovered species for the first time." "The best tour guides bring a destination to life with their passion, storytelling and wit. Guardian writers pick guides who love taking visitors beyond the obvious to shed new light on the places they call home. Charleroi-born bioengineer, cartographer and photographer Stéphane de Greef may look every bit as Belgian as he sounds. But it is around the temples of Angkor, the famous “lost” city of Cambodia, that he is most at home, chatting with locals in fluent Khmer, flying drones over remote ruins, or passionately studying wildlife and culture. 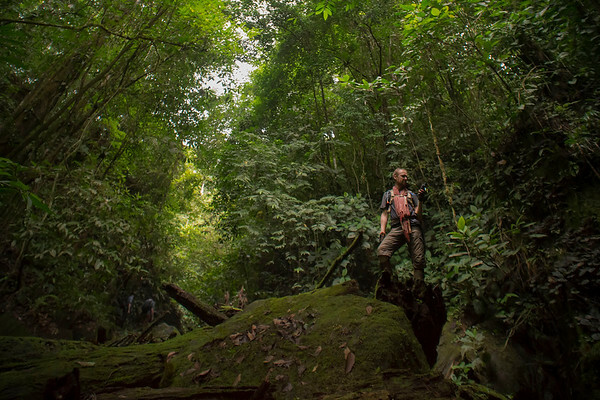 His tours focus on the hidden aspects of the site, covering not just the wealth of temples everyone ignores (the majority of the two million visitors each year focus on the same four ruins) but also the stunning biodiversity around them." "Skin-crawling footage shows a colony of Leptogenys ants ambush and paralyse a 150mm giant millipede in Siem Reap, Cambodia. Footage filmed as part of a scientific research project shows the moment a millipede in Cambodia is paralysed by a colony of blue ants. 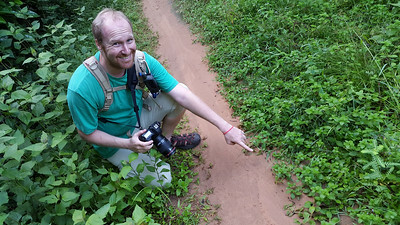 Scientist Stéphane De Greef went to Siem Reap in 2014 to study insects’ movements when he spotted Leptogenys ants ambushing a giant millipede. The video shows how the ants paralyse the insect which, despite the edited footage, takes a total of 14 minutes." "As if you needed another reason to declare ants the most legit insects on Earth, take a look at the video above. Those are ants of the genus Leptogenys assaulting a millipede (a harmless consumer of rotten vegetation, as opposed to the venomous centipede, which is a carnivore). It starts out like you’d expect it to, with the millipede adopting a defensive posture as its enemies swarm around it. 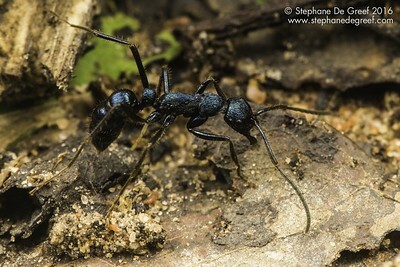 Suddenly, a sting (at about 1:00), and still more as the ants overwhelm their prey. As the millipede squirms, some ants hold on and continue stinging, what’s known as, no joke, “rodeo-style behavior.” Interesting stuff, but still normal. Then something incredible happens..."
"I had just sweat my way up a jungle trail when an old man with six-pack abs and a calculator watch invited me to the royal bathtub. In that moment, I knew it was going to be a good day. I had already spent a week admiring the temples of Siem Reap in Cambodia, which draw visitors from all over the world, and I’d learned some amazing facts. 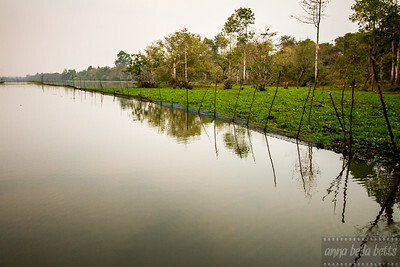 Facts such as: The main pyramids of Giza would fit inside the moat of Angkor Wat. It’s a stunning place, but my friend and guide, Stéphane de Greef, reminded me that the temples are only part of the story. If I wanted to understand the temples and the Los Angeles-sized city that had surrounded them, I would have to understand the water." 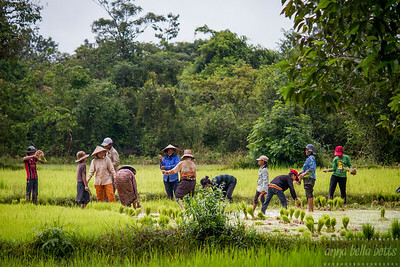 "Since the early 20th century there had been a suspicion that a city lay hidden under villages and rice fields at Phnom Kulen, a mountain plateau 25 miles northeast of Angkor Wat. The royal capital city of Mahendraparvata, one of the first of the Angkor period, was identified in a report last month by the US National Academy of Sciences, after the area was mapped with laser scanning technology for the first time in 2012. The city is part of a massive urban complex that links the famous temples of Angkor Wat with other, lesser known sites, such as Beng Mealea. Stéphane De Greef, a cartographer, told Telegraph Travel why the city is so important." 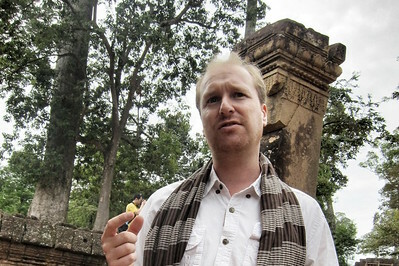 "Meet Siem Reap tour guide Stephane De Greef, the cartographer, naturalist and tour guide who helped discover a lost city in the jungles of Cambodia. What kind of skill set does it take to discover a 1,200-year old city hidden in the Cambodian jungle? It doesn’t hurt if you are a professional map-maker, land mine expert, and dirt bike addict as I learned from Stephane De Greef, a full-time explorer and part time tour guide that Siem Reap specialists AboutAsia Travel set me up with on my last trip to Cambodia. 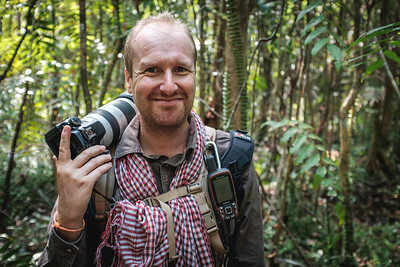 De Greef, an adventurous 36-year old Belgian citizen, has lived in Siem Reap for more than a decade and is chief cartographer..."
"The world is full of glorious flora and fauna. And the Meet Your Neighbours project aims to catalog them all — with your help. This crowd- sourced photo venture asks shooters to capture local wildlife using its beautiful but simple style. The result? 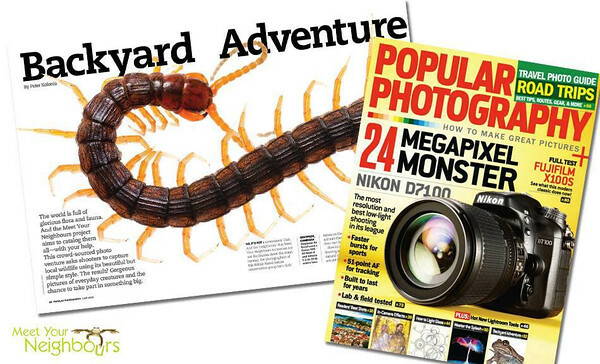 Gorgeous pictures of everyday creatures and the chance to take part in something big. No, it's not a newcomers' club. And the "neighbours" that Meet Your Neighbours focuses on are not the Joneses down the street. Instead, the photographers of this British-based nature conservation group turn their lenses on the plants, insects, and animals that they often find in their own backyards."